Keanu Reeves would have made a better Lincoln. The acting in this movie was superb. Kudos to the cast!!! Day-Lewis gives one the best performances of any leading role of all time. His performance makes this slightly average film abve average. This movie was the equlivent of watching grass grow. This movie was a cartoon...a pandering, distorted embarrassment. Perhaps it was convincing entertainment for the sub-literate, but for those of us who can read it is beneath our intelligence. Exceptional - prefectly portrayed. Highly recommend. I have seen quite a few movies that was rated five stars which in my opinion I would give 2 or 3 stars. The whole movie was poor quality, poor acting, bad story line and left with the feeling of regrets, wasted my money and time which because of the preview I thought was good. Usually only the interesting part of the movie was advertised. Some of the most disappointing movies I saw : silverlinning, Mama, Paranormal activity all after the first one among several others. For the person who wrote the comments below I fear your opinion comes from a place of condescension. I went to the movie excited about viewing such an important piece of history. I was bored. It doesn't make the moment in time any less important. Possibly the most important act of legislation in history. When someone calls this movie "boring" I am reminded of an incident described by the curator of the Mona Lisa. Some young yahoo was viewing the picture and said, "I don't see anything special about it." The curator responded, "Young man, the picture is not being judged, you are." 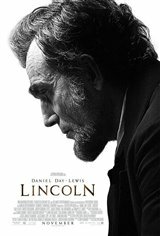 Anyone who calls "Lincoln" boring says a lot about him or her self; nothing about the film.